Admission and parking are free for this event. Our theme this year is "Space, Science and Beyond" - An Exploration into STEM (Science, Technology, Engineering and Math). "Every year this event keeps getting better. People tell me it's the most family-friendly event in the region, and it's free," noted Tim LoDolce, Air Show Chairman. The Truckee Tahoe AirShow & Family Festival is flying into its fifth year with family-filled activities and full-throttle fun. Admission and parking are free. The event happens on Saturday, July 9, from 9 a.m. to 4 p.m. This year's theme Space, Science and Beyond, an exploration into STEM – Science, Technology, Engineering and Mathematics. Keeping with the theme, the air show’s Grand Marshal will be former NASA astronaut and retired U.S. Air Force Test Pilot, Karol “Bo” Bobko. Colonel Bobko’s list of accomplishments is extensive. He became a NASA astronaut in September 1969 and was a crewmember on the highly successful Skylab Medical Experiments Altitude Test (SMEAT). The test was a 56-day ground simulation of the Skylab mission, enabling crewmen to collect medical experiments baseline data and evaluate equipment, operations and procedures. On air show day, Bobko will be giving a fascinating presentation. Event details are available at TruckeeTahoeAirShow.com. This AirShow boasts one of the most gorgeous back drops and is located less than 15 minutes from one of the most gorgeous vacation destinations – Lake Tahoe, Calif. The AirShow will bring the Truckee sky alive with world-renowned performers including Spencer Suderman (Guinness World Record holder for inverted flat spins), Rich Perkins soaring full speed in the Fire Cat jet, Danny Sorenson with his own designed and built BF9-2 biplane, and Bill Braack racing his Smoke-n-Thunder Jet Car against an airplane. And there’s much more. Huge warbirds will be on display and modern aircraft too. New this year is a STEM Expo with hands-on exhibits designed in an effort to expose children and young adults to career and educational opportunities in aviation, science, technology, engineering and mathematics. A Family Festival by Truckee’s KidZone Museum fills the airport’s lawn with families having fun. Children’s activities include puppet shows, music sing-a-longs, stilt walkers, face painting, story-telling, and a spectacular view of the air show. Sign-ups for free flights for kids ages 8 to 17 happen on Saturday, July 9. Flights occur on Sunday, July 10. Experienced volunteer pilots and ground crew from the EAA Truckee Chapter 1073 Young Eagles Program bring the thrill of flight to young people. For a cost, take a ride in a warbird from the Commemorative Air Force SoCal Wing or a helicopter. This just might be a once-in-a-lifetime opportunity. A percentage of the ride cost goes to local youth, so please plan to soar. VIP Hospitality Tent Passes give guests a chance to have the best seats in the house. A pass includes a catered lunch, beer, wine, non-alcoholic beverages, shade, tables, chairs and even private restrooms. Tickets are $45 in advance and $50 the day of the show. A limited amount of tickets are on sale online and at the airport. There’s even a raffle for a 3-day “Living the Life” getaway package to the Bay Area. One lucky couple will have the opportunity to win a flight to San Carlos donated by Surf Air. Guests will be greeted at the airport by Tesla, where they will experience a Model S for the duration of their stay. Proceeds will be donated to Big Brothers Big Sisters of Nevada County. The Truckee Tahoe Airport District funds the operational cost of the event as a gift to the Truckee North Tahoe Community. This structure allows the three non-profit organizations that produce the event an opportunity to raise money for local youth. All event proceeds go to local youth. 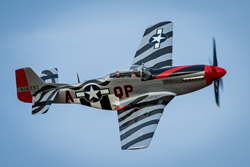 The money is raised from sponsorships, sales from vendor booths, t-shirts and raffle tickets, as well as VIP Hospitality Tent Passes and a percentage of ride fees in a warbird or helicopter. A special thanks to our leading sponsors: Truckee Tahoe Airport District, Western Aircraft, Pilatus, Clear Capital, Hampton Inn & Suites, Sierra Sun, Surf Air, Capital Radio/NPR and Cumulus Radio.